A compound of cadmium metal with sulphur and selenium. 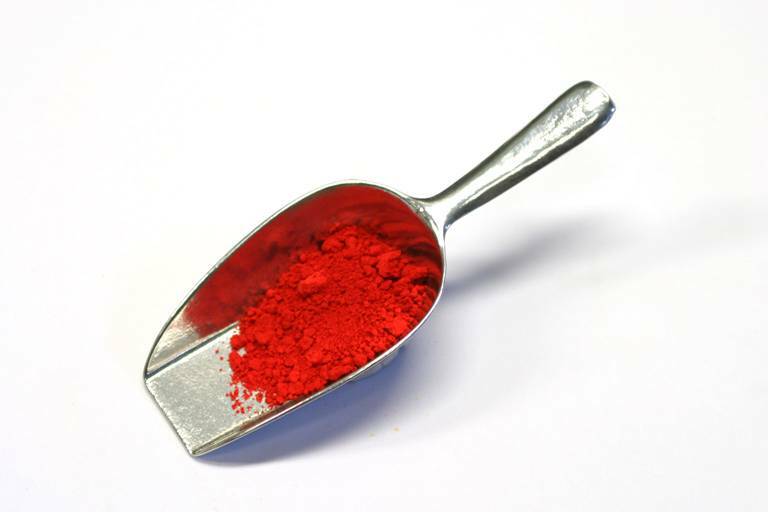 Addition of extra selenium gives the cadmium medium red colour. Can be used in all techniques. Do not apply too thickly in oil paint as this may cause drying problems. Related to harm reduction this product it is not orderable outdoor Netherlands.